Deep tissue massage targets your body’s deepest layers of muscle and releases tension in overstressed areas. Like the name suggests, deep tissue massage targets your body’s deepest layers of muscle and releases tension in overstressed areas. When your muscles are severely knotted, this therapeutic treatment is designed to break it up. Deep tissue massage is a mix of slow, short strokes and penetrating finger pressure focused on tight, contracted areas. The therapist employs her thumbs, forearms, and even elbows to work muscle tissue and relieve tension. Deep Tissue massage is ideal for stubborn or chronic conditions, including postural problems and many repetitive-use issues. Firm pressure is used throughout the session and deep work is performed in areas of special need. Most effective in 75 to 90 minute increments, and best results for chronic issues occur with a series of treatments. Slow deliberate strokes are applied to specific trigger points to help relieve chronic patterns of tension. 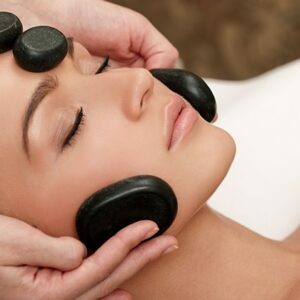 This therapeutic treatment is stress-reducing and invigorating.